Milk thistle’s reign as the highest ranking liver supportive herb applies to all of its forms – some are just more potent than others. These seven formulas with milk thistle all benefit the liver, but the potency and added ingredients differ – making each supplement ideal for different situations. 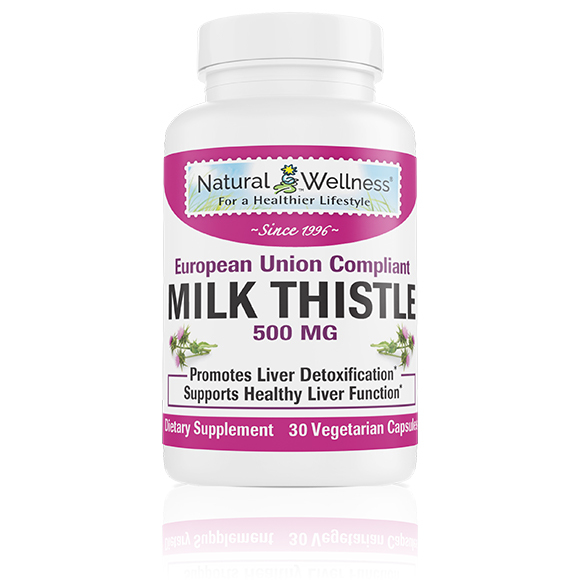 Protect your liver naturally with our Milk Thistle 500 MG, which contains 500 mg of milk thistle (standardized to 80 percent silymarin) per serving. This is a good baseline milk thistle formulation. 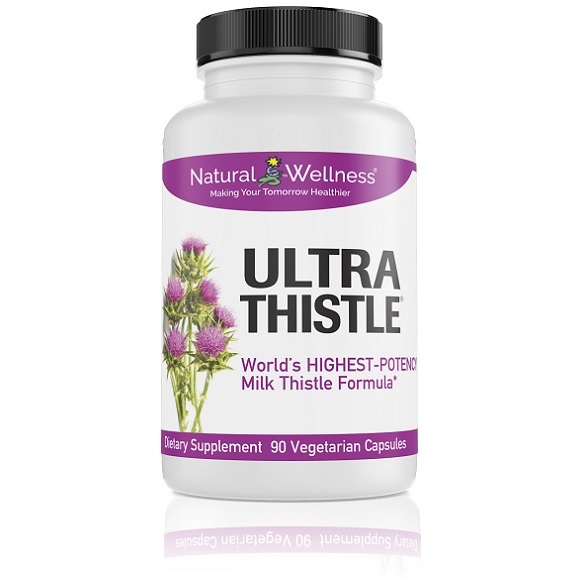 For a person looking for good milk thistle product on a limited budget, then our Milk Thistle 500 MG is a great choice. 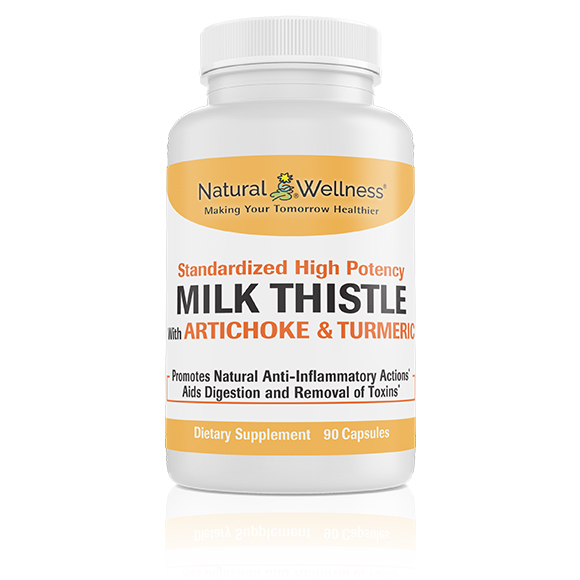 A baseline formula, Milk Thistle with Turmeric & Artichoke contains 175 mg of milk thistle (standardized to 80 percent silymarin) per serving. In addition, it contains turmeric root and artichoke extract, herbs known for reducing liver inflammation and stimulating the flow of bile. This combination is ideal for someone with a relatively healthy liver who wants to protect his or her organ from lipids clogging up the liver and causing fat accumulation. Also containing silymarin standardized to 80 percent, Liver Support & Detox is a stronger supplement with 350 mg of silymarin per serving. 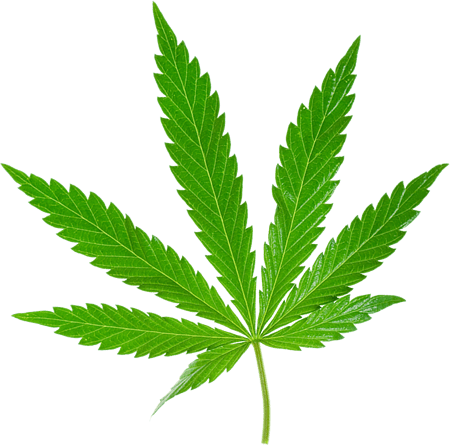 In addition, it contains a well-studied collection of vitamins and herbs that support the liver’s detoxification abilities. It even contains 400 mg of N-Acetyl Cysteine per serving, an amino acid administered in the emergency room to protect against liver failure from acute poisoning with acetaminophen-containing pain-relieving drugs. 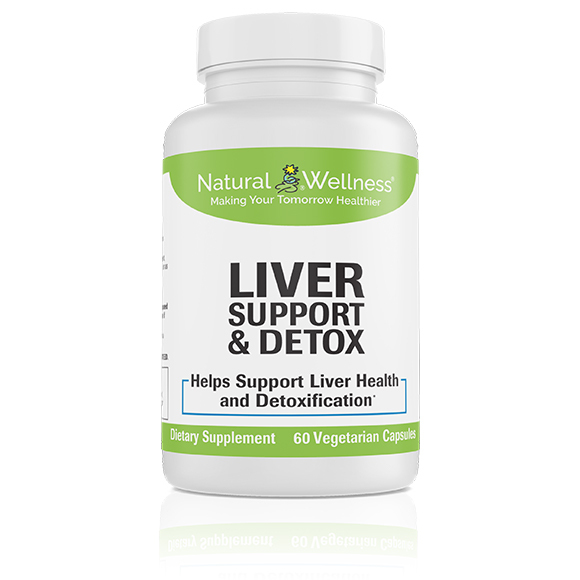 This formula is ideal for someone who has good liver function, but may be concerned with his or her liver’s ability to process toxins effectively. 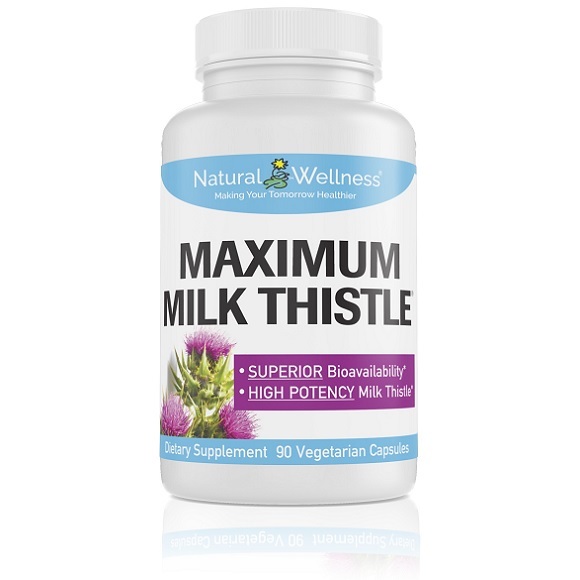 For those with a documented chronic liver problem that is under control who want to maintain the integrity of their liver cells, Maximum Milk Thistle is ideal for preventing inflammatory and scarring episodes. By taking the commitment to liver protection several steps further, Clinical LiverSupport combines milk thistle in its most absorbable form with a potent combination of nutraceuticals that aid liver health. 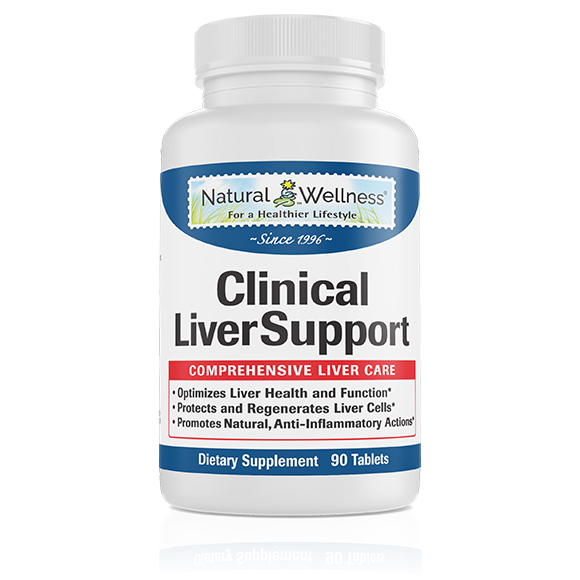 Clinical LiverSupport contains 240 mg of silymarin phytosome and 500 mg of N-Acetyl Cysteine per serving – a pairing that offers unprecedented liver cell protection. In addition, this formula has a substantial dosage of vitamins and herbs that protect the liver from a wide variety of threats. It contains antioxidants (like curcumin, Vitamin E and green tea) to battle liver cell damage, natural anti-inflammatories (like blueberry leaf, dandelion and phospholipids) to minimize liver cell damage, herbs that aid detoxification (like dandelion and beet leaf), and herbs to prevent fat from clogging up the liver (like artichoke, chicory and turmeric). 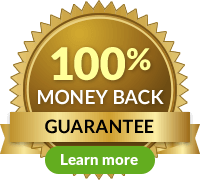 This formula is ideal for someone at risk of developing a liver problem, who wants to take a multi-pronged approach toward preventing liver cell injury. The ultimate liver protector, UltraThistle contains the highest dosage (360 mg) of the most absorbable, most biologically active form of milk thistle, silybin phytosome. 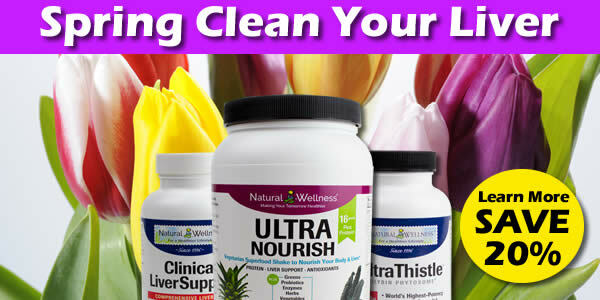 This supplement is unparalleled in its potency to protect the liver from harm. UltraThistle is ideal for people who have a chronic liver problem that is not under control – for those who are most at risk for liver disease progression. The 1st Whole Body Superfood Shake that also FOCUSES ON YOUR LIVER. 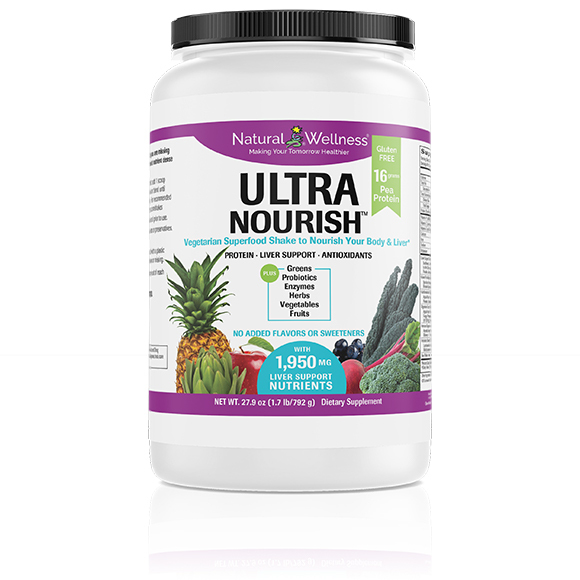 UltraNourish is jam packed with the protein, vegetables, fruits, fiber, herbs, enzymes, probiotics and essential nutrients your entire body needs to function at its best. In addition to providing you with more energy, protecting and improving your heart, immunity, and digestion to name a few, UltraNourish also contains 1,950 mg of liver supportive ingredients such as milk thistle, artichoke, lecithin, licorice, astralagus and more. If you're looking to support your liver as well as improve digestion, heart, immune health and more, UltraNourish is the best option with just one shake a day.